The 26 mile Stony Spur was groomed Wednesday night and is in good to excellent condition. Taconite Spur from Babbitt to Ely was groomed on Tuesday night and is in good to excellent condition. The Bear Island Lake trail was groomed on Tuesday night—strong winds have blown the fresh snow across the trail. The Tomahawk Trail & Local Trails: All trails will be groomed again before the weekend. Expect good conditions. The Taconite State Trail and local snowmobile trails – With the recent snowfall and cooler temperatures trails are in good condition with a 1-4 inch base. Bear Island State Forest – The Putnam and Fishing Lakes Trails traverse forested, rolling topography through birch, ash, and pine stands. Several small lakes dot the landscape along these scenic trails. The Hidden Valley Cross Country Ski Trails – There are over 15 kilometres of trails groomed and tracked at Hidden Valley. No Current Report. Please, no dogs on this trail. The Birch Lake White Pine Plantation, – is groomed and conditions are excellent for classic skiing. The Babbitt Golf Course Trails are groomed and tracked for both skate and classic. Conditions are excellent for both classic and skating. The Bear Head State Park Trails – are machine groomed and accommodate both beginner and expert skiers. Norberg, campground and beach trails were groomed on 2/14. Trails are in fair to good condition due to the warm weather and rain last week. Watch for icy portions of the trail. The North Junction Trails – The additional few inches of snow have been great for these trails. It has reduced the iciness and the trails are back in really nice shape. The North Arm Trail – Because they are not machine groomed, they can be challenging at times even for intermediate-skilled skiers. Users should check on current ice conditions and proceed with caution on the lakes as ice conditions can change rapidly. The North Arm Trails were severely made worse this past week by melting temperatures and rain. However, it is currently snowing and this should improve the skiing conditions –hopefully back close to the great conditions we’ve had this winter up till a few days ago. Silver Rapids Trail – groomed by the weekend. The Bear Island XC Ski trail – groomed by the weekend. The return of the deep freeze getting you down? 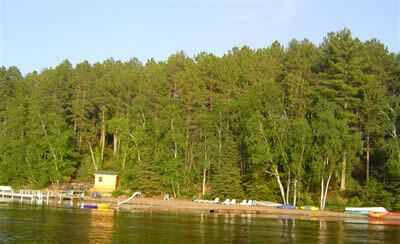 We ran across this picture taken from one of the houseboats on Birch Lake. It made us feel a little warmer and we hope it will warm you up too. 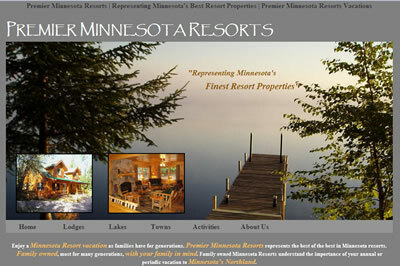 Timber Bay Lodge & Houseboats is excited to join our Northwood partner resorts to unveil Premier Minnesota Resorts. Check it out to learn a little bit more about the Ely area, neighboring town and lakes. It’s sunny, it’s beautiful, and it’s a little cold. 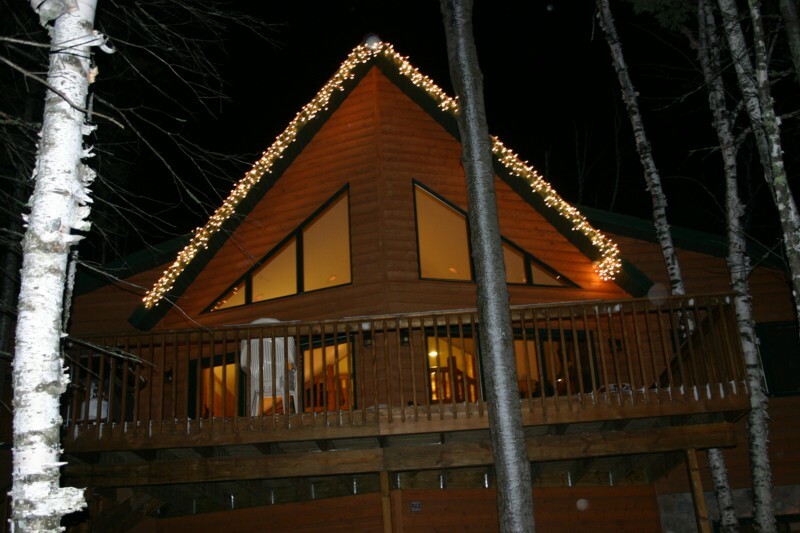 But if you’re looking for a perfect break for a big group to go ice fishing or skiing or just hang out around the fireplace – think about our big Bear Trap Cabin. It’s just a quick trip from Ely, Minnesota.